It doesn’t take much more than a scroll through Instagram to recognize that wearing a mix of different earrings is a thing. Celebrities, bloggers, and fashion insiders have been devoted to the edgy look more than ever as of late, and it’s easy to see why. A smattering of earrings simply looks pretty. 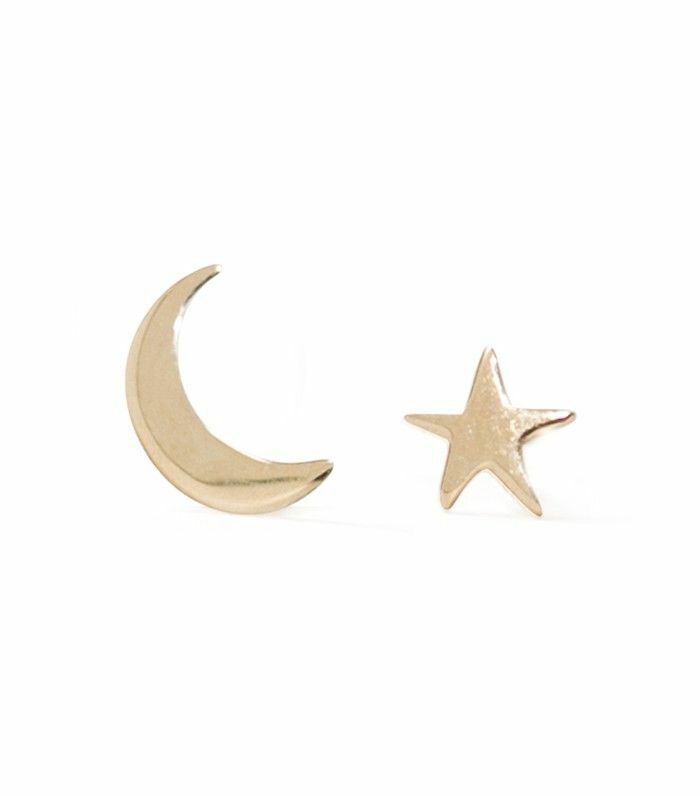 It’s almost like little constellations on your ears, if you will, but that’s not to say that bold earrings can’t be a part of the equation. We love a bold statement earring along with a few little studs thrown into the mix to complement each other, and if you have just one piercing in each ear, there’s no need to feel left out! Try wearing a different earring in each. It can be as subtle or as eye-catching as you’d like, depending on the size of the earrings. While it may look complicated, the secret to mixing and matching earrings like a fashion girl is rather simple—anything goes, as long as it feels cohesive and uncluttered. That means mixed metals and stones in different shapes and sizes are a definite do, but keep them within a similar family (e.g., one modern statement earring and a smattering of minimalistic studs, or an ear full of delicate diamond studs and hoops). Keep scrolling for a little multiple-earring inspiration and to shop 17 earrings that would look undeniably cool together, in any combination. @maria_tash thanks for the ear set up :) and @jamesrajewski for the installation and piercing! ???????? We sell most earrings as singles so you can build the earring stack of your dreams. Char wears a Little Secret, petite Sleeping Beauty, and Big Secret, all at Catbird and catbirdnyc.com. Windswept fairy ear stack. ✨???? Josie wears: ear cuff, Dewdrop, petite Sleeping Beauty, Sleeping Beauty chandelier, all only at Catbird and catbirdnyc.com. A pre-matched set makes a great gift idea. These feel unique and very special, no? Every fashion girl is obsessed with WWAKE's delicate offerings. This stud is making us starry-eyed (no pun intended). 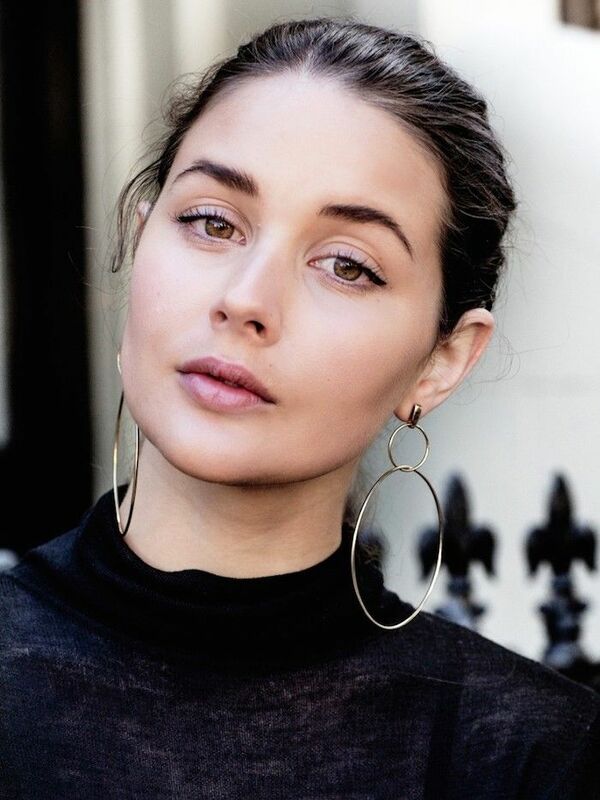 Wear this hoop on your earlobe and add on the sparkly studs. Subtle and adorably emoji inspired. You can’t go wrong with a dainty evil eye (or two) in the mix. These are striking yet minimal. Celebrities are obsessed with this jewelry designer. You’ll want to wear these every single day. Add a fresh twist via a black diamond. Can you tell that we’re digging the celestial trend? Meet the earring version of the monogram trend. A smile price to pay for so much charm! These six fashion bloggers have the coolest piercings.